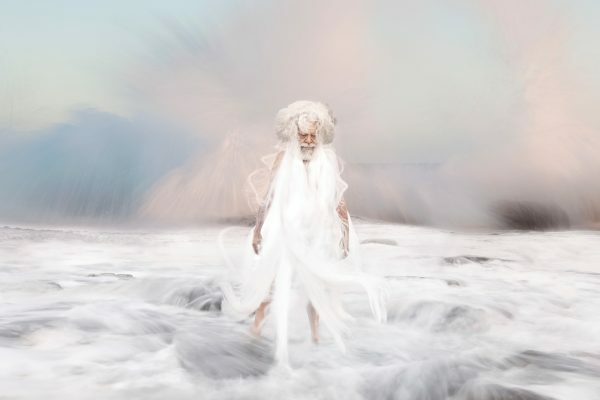 Jeremy Blincoe is a Melbourne based photographer renowned for his powerful representations of youth, the environment and indigenous issues. 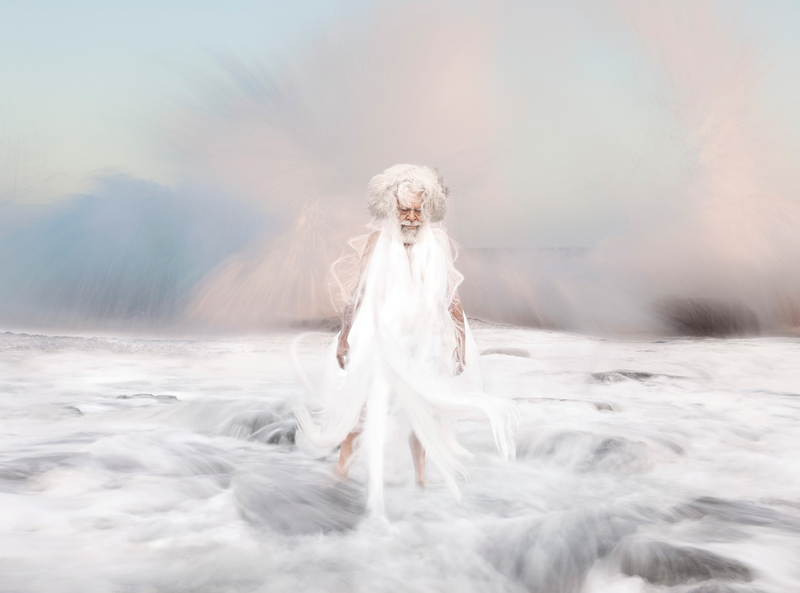 His latest series, Ephemeral Memory, highlights the struggle of indigenous people to retain their ancient culture and traditions, while forging a new identity in modern day Australia. 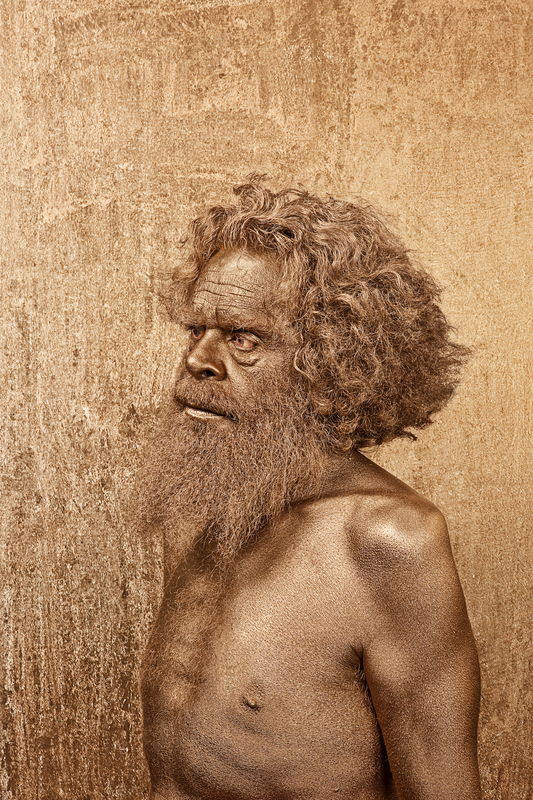 The series was inspired after Blincoe began boxing at the Melbourne Aboriginal Youth Centre in January 2010. 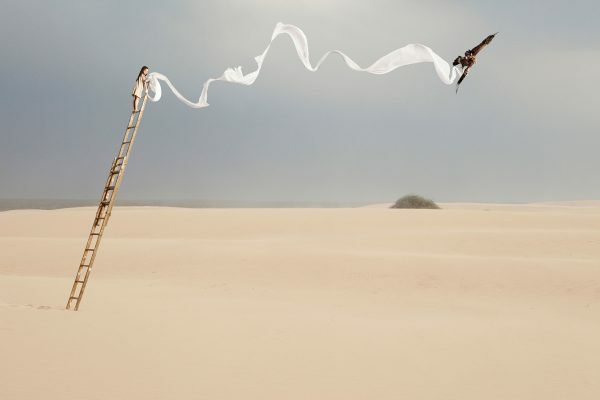 During this time he developed strong friendships with the people who were to become the subjects of this series. 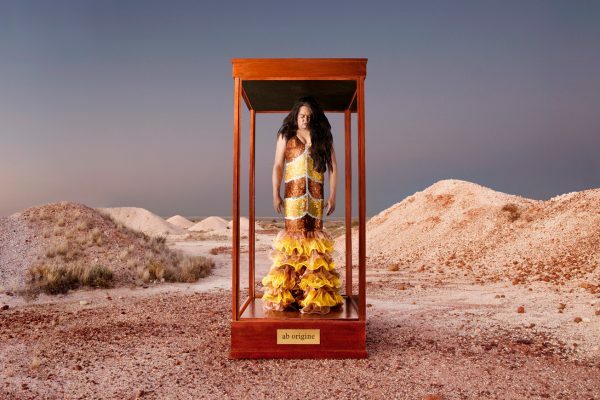 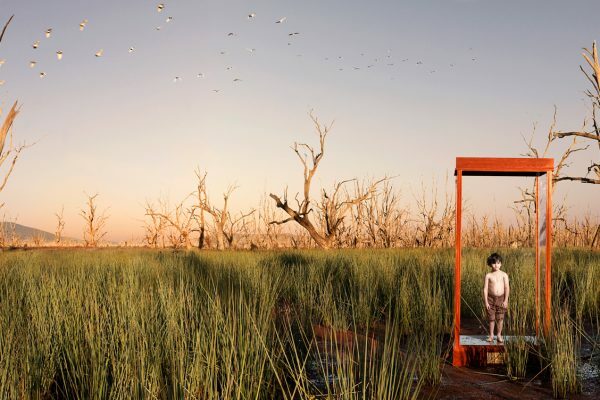 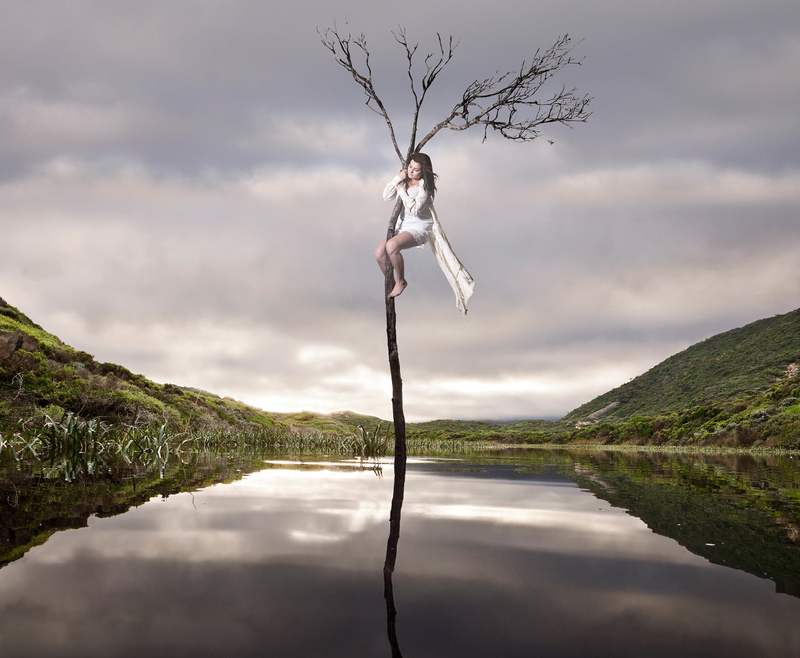 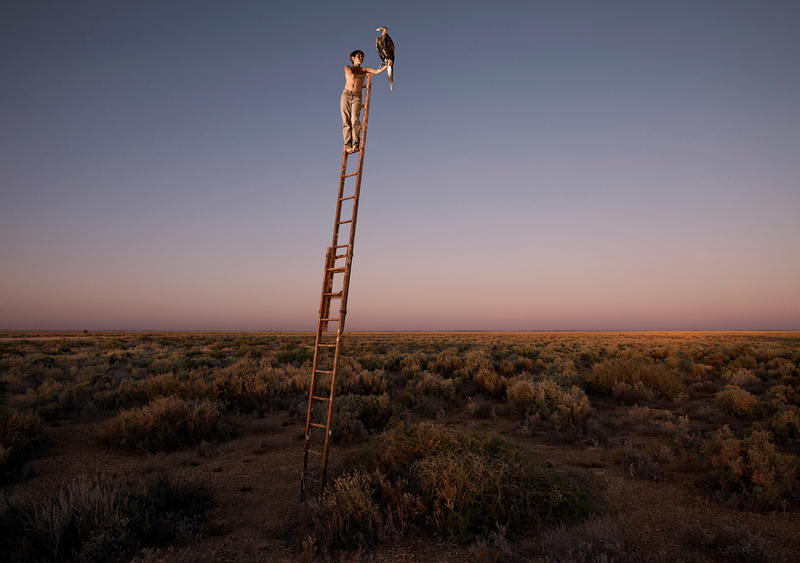 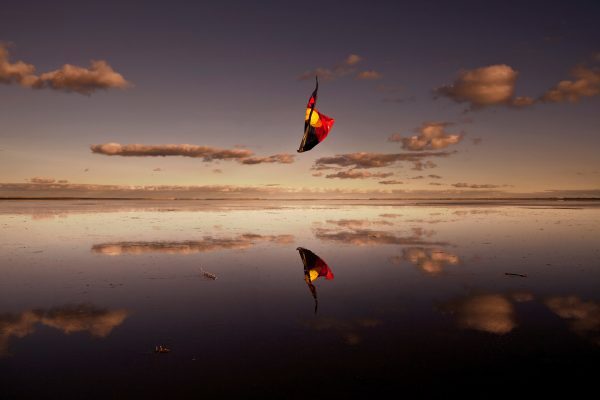 Using a combination of on-location and studio photography, Blincoe’s striking images establish a dialogue between the subject and natural environment, provoking the viewer to consider their position on indigenous issues. 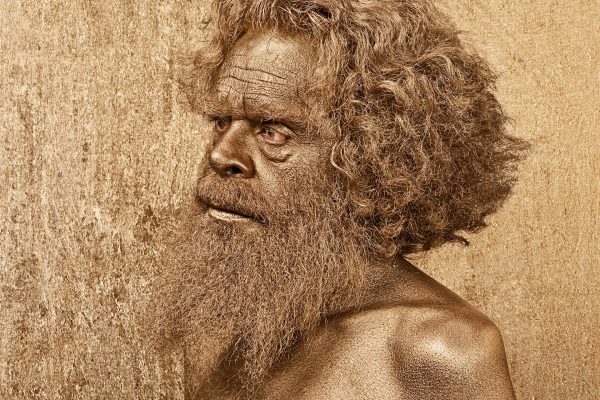 His portrait of Jack Charles for instance, a member of the stolen generation, is rendered in gold as if on the back of a coin, highlighting the compensation process after the Bringing them Home report brought this matter to national prominence. 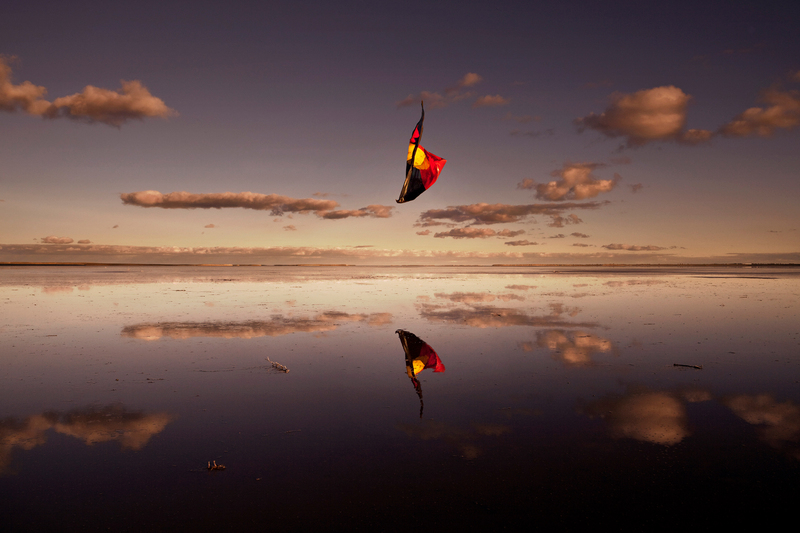 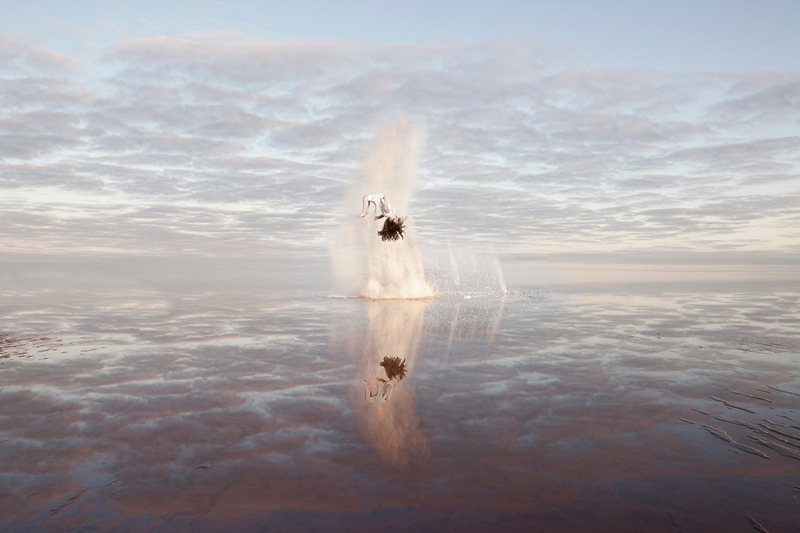 Yet while Blincoe’s images are provocative, there is deliberate ambiguity in his work. Subjects are floating in mid-air or clinging to elements of the landscape, inviting the viewer to question whether they are oppressed or liberated; tethered or unbound?